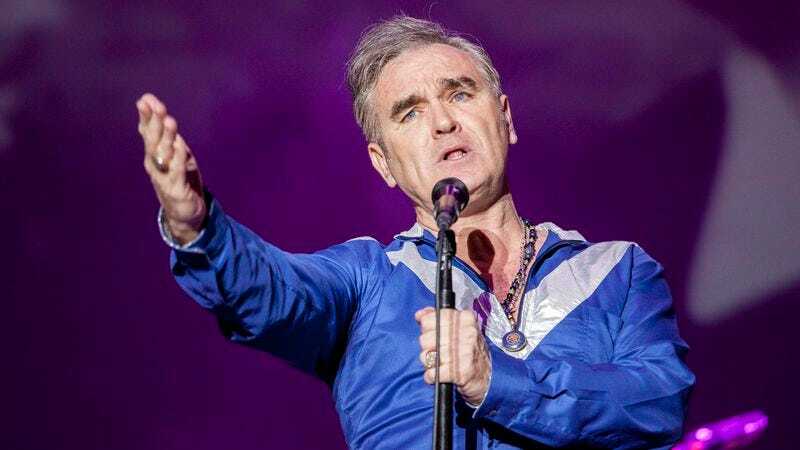 Morrissey has been a staunch animal-rights advocate for years, having made his views abundantly clear as far back as on the 1984 Smiths album, Meat Is Murder. Now the vegetarian-turned-vegan is considering a run for mayor of London as part of the Animal Welfare Party. In a new post on his site, True To You, Morrissey shares the party’s invitation, as well as a lengthy statement on his inclination to accept. The singer/activist states that animal welfare groups can no longer wait for “establishment enlightenment,” and instead must seek representation within the government to effect change. While he does make some unmeasured remarks, such as calling Naked Chef Jamie Oliver “a serial animal killer,” and wondering if Oliver would be prepared to serve up his own children for someone else’s supper, he also paints a dire picture of the larger impact of the meat industry. Morrissey reportedly needs only 330 signatures to join the ticket, so a mayoral bid is entirely possible, especially as the next five days will see the candidates focusing on green issues, including a list of proposals composed by several of the country’s best-known environmental groups.